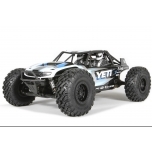 The Yeti is a skilfully engineered rock racing vehicle with a solid rear axle and independent front suspension. It's built to withstand the punishment of rock racing at a high level of performance. Its distinct aesthetic and technical elements were inspired by full-size desert trucks and various off road vehicles. 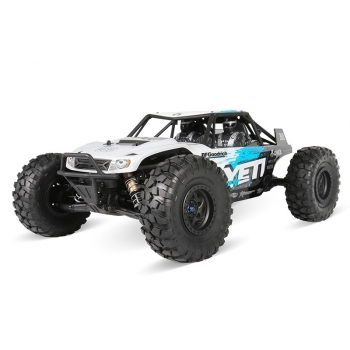 The Yeti is a no-compromise mix of speed and handling unlike any other R/C vehicle. 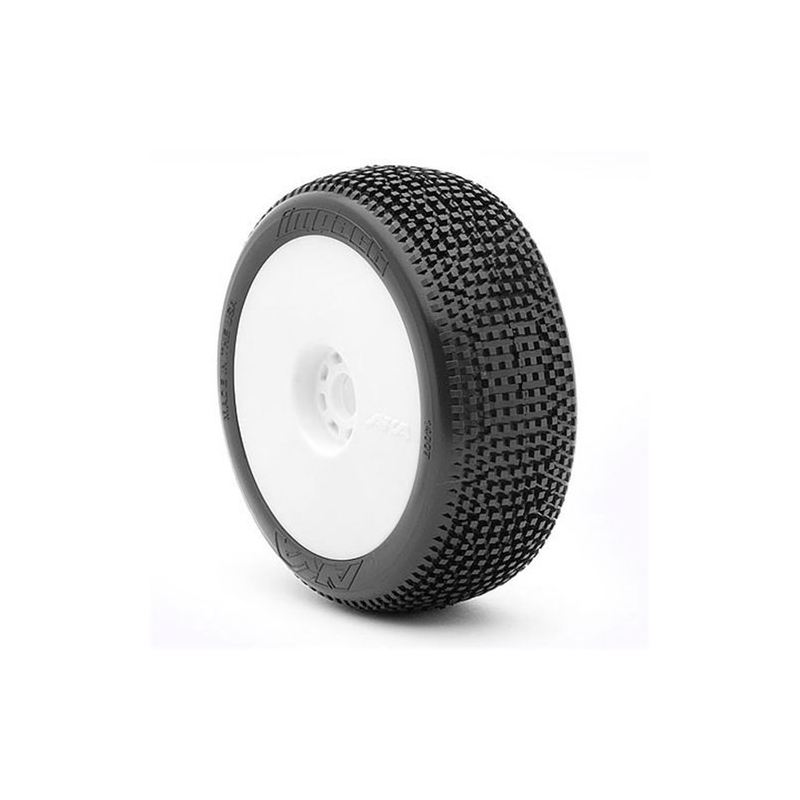 Its strategically engineered design supplies bashing stamina while delivering a high level of technical rock racing abilities without compromise in either category. It's powered by a 3150KV 4-pole brushless motor which provides the perfect amount of torque and speed for this rock racing monster. 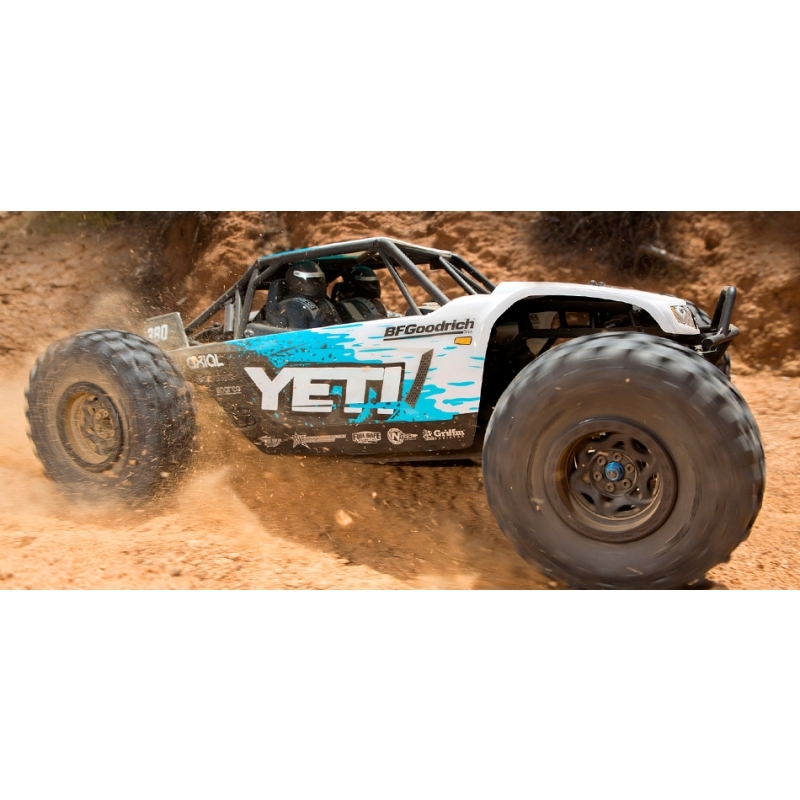 In the suspension department, the Yeti is equipped with an Independent Front Suspension [IFS] system to help maintain high speed stability when running through a diverse range of terrain. Precision machined aluminium shocks are standard equipment and deliver smooth suspension movement for consistent handling. It's as serious as you want it to be, with true fun factor characteristics that make it a blast to drive. The Yeti, dirt's new friend. These featured Icon Vehicle Dynamics aluminium shocks feature precision machined pistons which offer smooth performance throughout the range of travel. Made to tight tolerances, these aluminium shocks feature clear coated polished aluminium bodies and are threaded for quick ride height adjustments and pre-load tuning ability. The power comes from a Vanguard 3150KV 4-pole brushless motor and Vanguard ESC. The 3150KV motor provides the perfect amount of torque and speed for this rock racing monster and is able to deliver a massive amount of power, especially when powered by 3S. 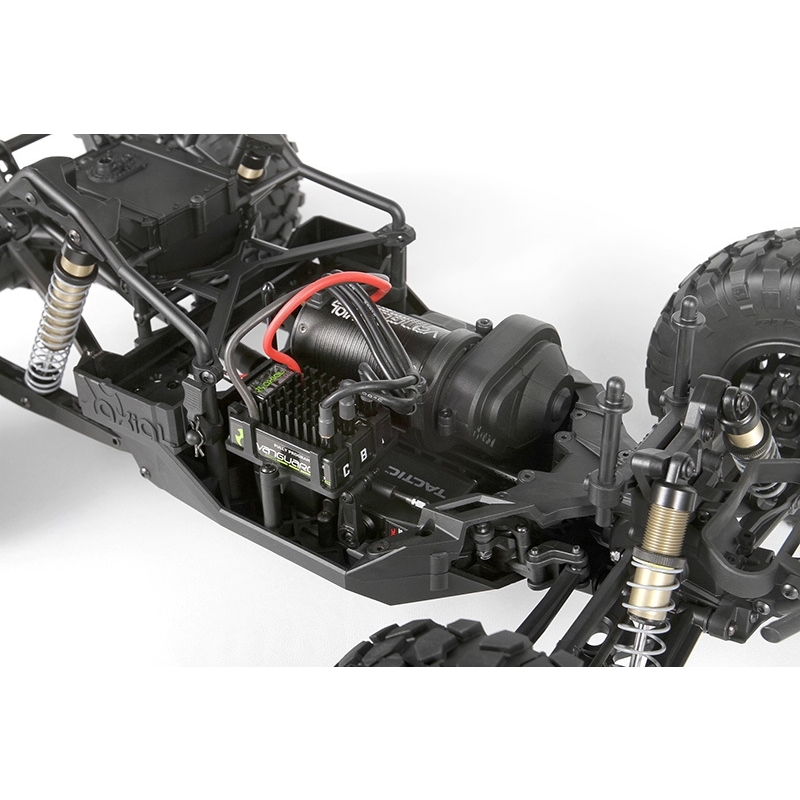 The Vanguard ESC provides exceptional power, braking and adjustability, so whether ripping through the fields or negotiating technical terrain the power plant has you covered. Officially licensed Walker Evans Racing beadlock wheels dressed in an aggressive all black style and they work with most 2.2 tires. The IFD™ (Interchangeable Face Design) wheel system makes it easy to dress it up with a new look. 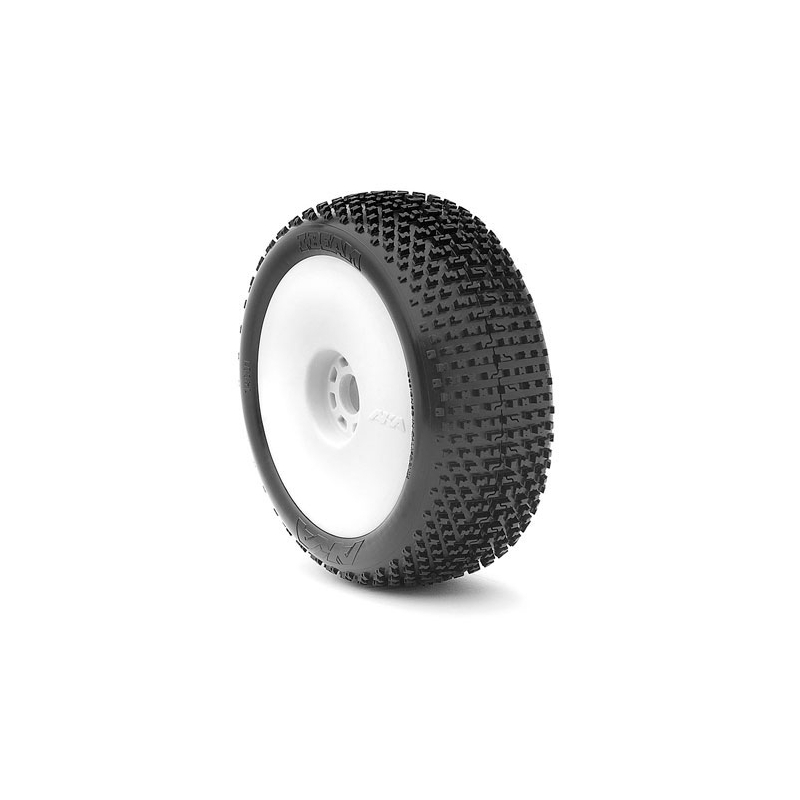 The wheel design allows you to vary the amount of air passing through the breather holes. 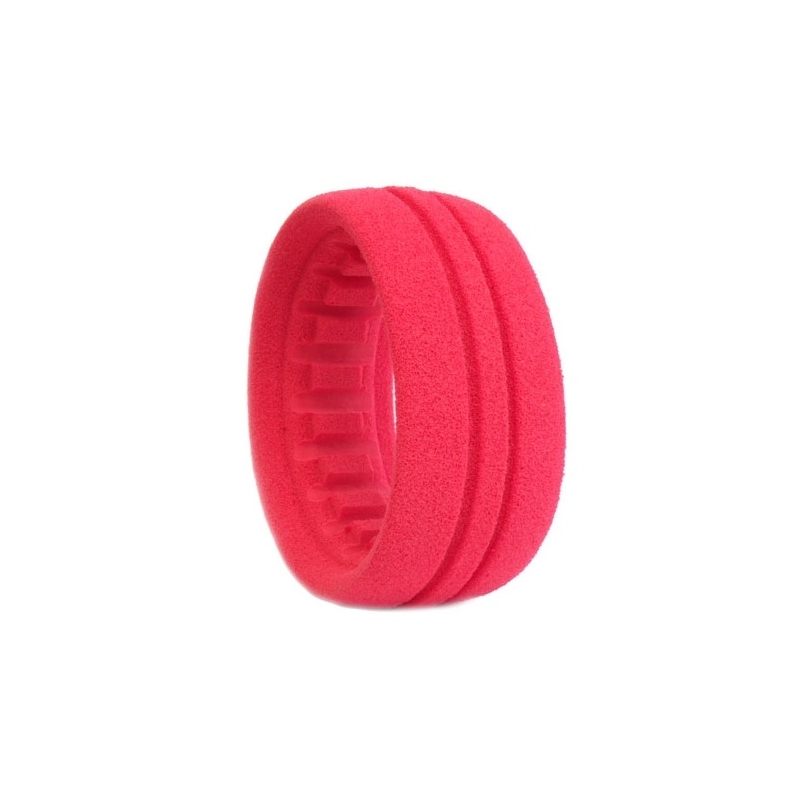 You can select between having one, two or three open holes (two, four or six total) by rotating the inner (beadlock) ring. 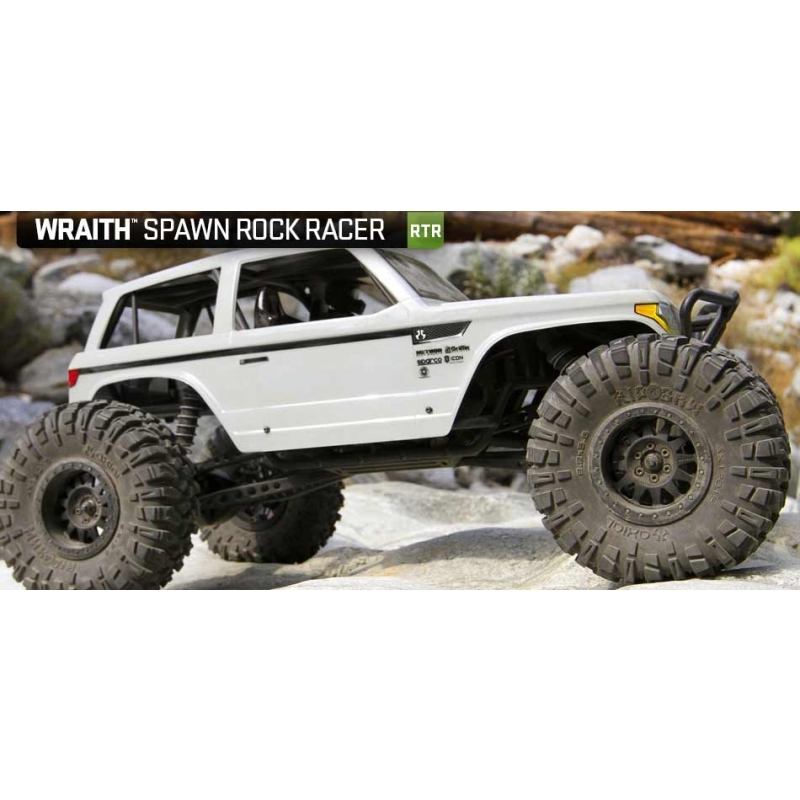 The position is locked with reassembly, if that’s not enough the Officially licensed BFGoodrich Krawler™ T/A® KX tires will help the Wraith over any terrain. 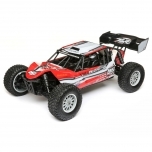 The Axial version captures the same aggressive look you’ve been waiting for in a durable high mileage S40 compound. Please Note: This kit in sold in ARTR (Almost Ready-to-run) format and requires a battery, charger, and 4 x AA batteries for completion.